1 player. 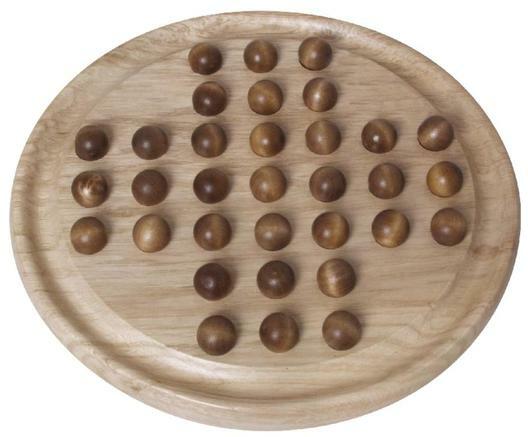 1 game board, 33 holes in the board, 32 wooden marbles. With every move you jump over the marble in front of you and remove the marble from the game board you jumped over. The goal with the game is to remove 31 marbles from the board. NOTICE! The last marble should jump in the middle. Dimension: 22 cm.